Autism spectrum disorders now affect 1 in 88 children, according to a CDC report, and a new study has identified a simple way to help prevent it – a vitamin supplement called folic acid. 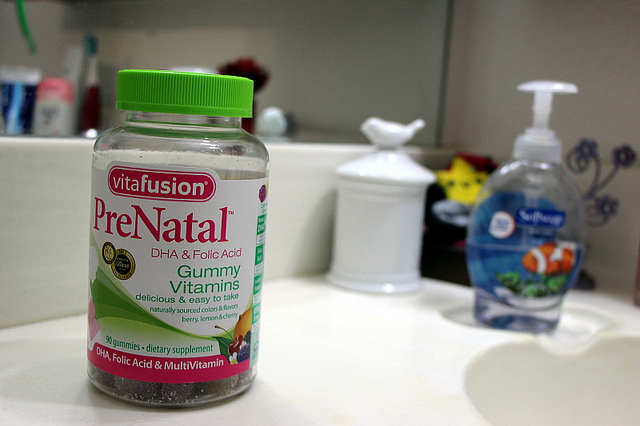 Women who take folic acid 4 weeks before getting pregnant are 40% less likely to have a child with autism, according to a recent study published in the Journal of the American Medical Association. Folic acid is a B vitamin that’s integral in the overall development of the human body and has already been shown to decrease the risk of neural tube birth defects such as spina bifida. Folic acid also is known to improve red blood cell count to prevent anemia and cut the risk of other birth defects. “An unborn baby will take all the nutrients he or she needs from the mother, sometimes at the expense of the mother, which is why it’s so critical that all pregnant and soon-to-be-pregnant women are in the best possible health right from the beginning,” Dr. Crane said. In addition to taking prenatal vitamins, it’s also important for women to have a well-balanced diet, maintain a healthy weight, exercise and minimize stress. The study looked at more than 85,000 women in Norway and so far is the biggest one of its kind to link folic acid to a reduced risk of autism, though smaller studies have reached a similar conclusion.